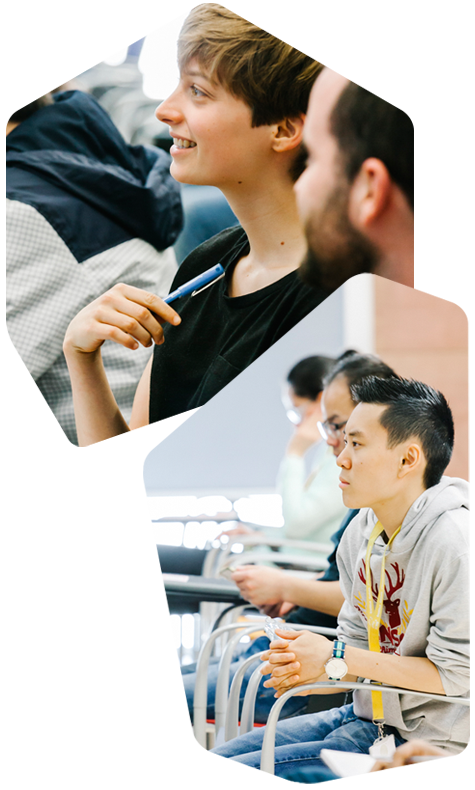 We aim to become a leading international research school, providing education and training opportunities for promising researchers to become highly skilled professionals in academia or industry. The challenges of society are complex and need to be approached from various disciplines separately or in an integrated manner. Based on the capabilities of our centres, we train researchers who can meet these challenges, transcending the traditional boundaries of scientific disciplines. 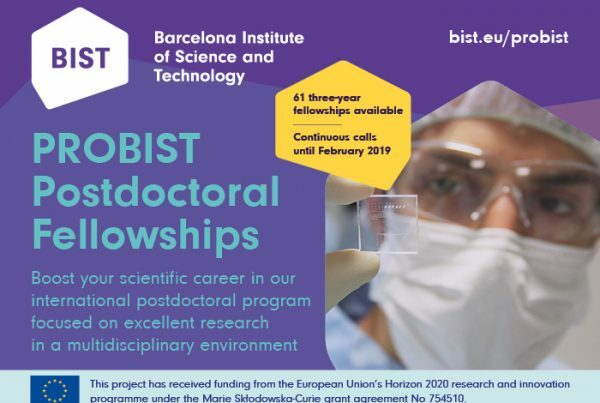 BIST is decisively involved in turning Catalonia into an international point of reference for cutting edge research, into an environment of open science, a space for pioneering research, and a meeting point for this new profile researcher that our society needs. 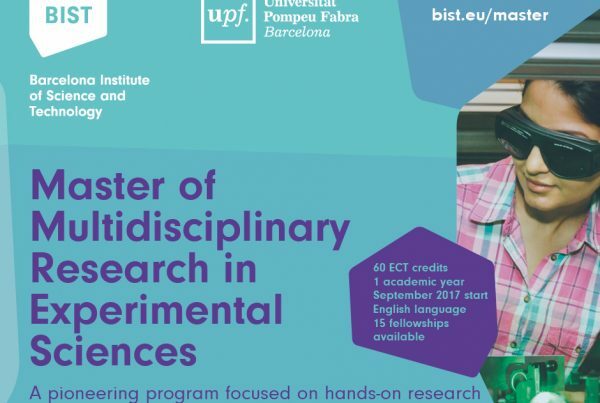 To do so, the BIST centres, leaders in their fields of expertise, offer a wide range of research training through Masters, Doctoral and Postdoctoral programmes. More information about these programs can be found on each centre’s website (CRG, IBEC, ICFO, ICIQ, ICN2, IFAE, IRB Barcelona). BIST will also become a leading school of excellence in research, providing education and training opportunities directly. Our aim is to train researchers willing to explore the opportunities on the borders of various areas of knowledge, researchers who can change from one discipline to another in a natural way (interdisciplinary mobility), who are integrated in multicultural environments (international mobility), who are able to network (virtual mobility) and who, ultimately, can develop their full potential to become highly qualified professionals in academia or in the industrial sector (intersectoral mobility). 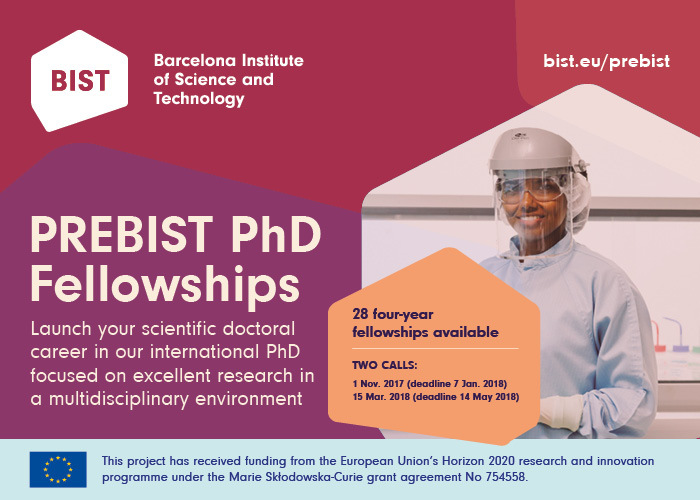 BIST offers many opportunities to students interested in pursuing a Master’s degree, a PhD, or a Post-Doctoral Fellowship. 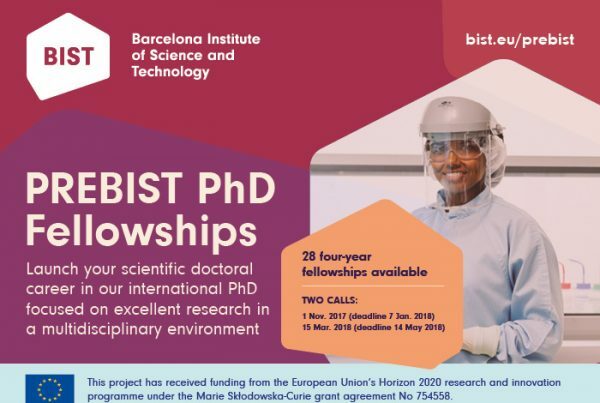 The BIST PhD Fellows Programme was launched in 2016 as a pioneering initiative with 9 international PhD Fellows that were selected for their excellence in their fields. 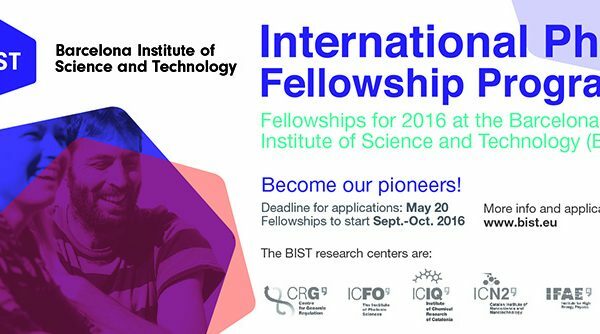 The Fellows are now each working at one of the seven BIST research centres. This programme was then superseded by the COFUND Programme which launched in 2017, providing a total of 28 fellowships to PhD students, and 61 to postdoctoral researchers. 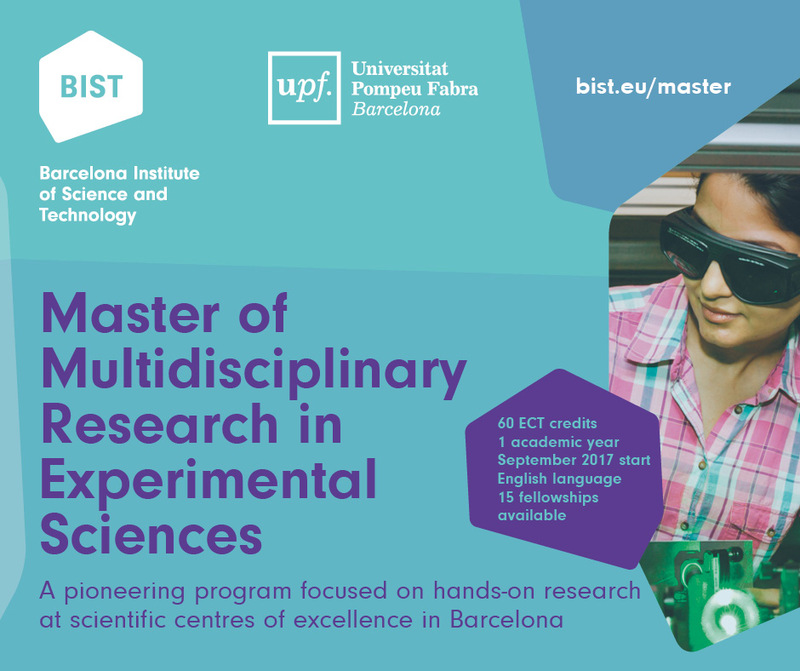 BIST has also launched the Master of Multidisciplinary Research in Experimental Sciences, a pioneering programme focused on hands-on research at scientific centres of excellence in Barcelona. This programme launched with its first set of pioneering students in September 2017.